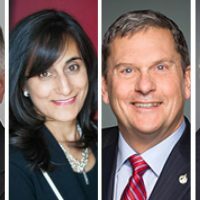 PARLIAMENT HILL—The majority governing Liberals have passed a fraction of the legislation that previous Parliaments in recent times have passed during their first year, but Government House Leader Bardish Chagger is defending the government’s record, saying it’s not all about the volume of legislation that gets passed, it’s also about the quality of debate. 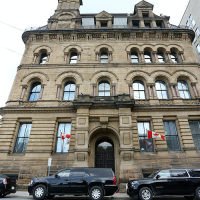 When the House adjourned two days early last week on Wednesday, Dec. 14, the government had so far passed only 15 bills since winning a majority government on Oct. 19, 2015 and since it opened the new 42nd Parliament on Dec. 3, 2015. 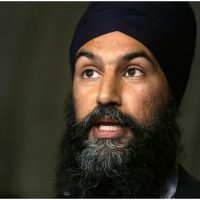 The average for the first year of the previous five Parliaments, both Liberal and Conservative, is 48 bills, according to the NDP. But opposition MPs argue that legislation is the ultimate vessel for policy change and that the Liberals are not taking their time in the House seriously enough. “It really is quite surprising how little has been accomplished by this government in terms of legislative output. They seem to be excellent at consultation. They seem to have meetings galore. … But where’s the meat?” NDP House Leader Murray Rankin (Victoria, B.C.) said in an interview following his caucus’ end-of-year press conference in the House of Commons foyer. During that press conference, NDP Leader Tom Mulcair (Outremont, Que.) 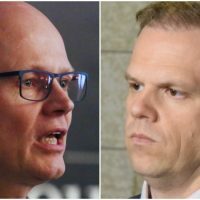 pointed to the “paucity” of the government’s legislative agenda, highlighting how, compared to other Parliaments, the Liberals haven’t passed much and are still using procedural measures like time allocation to curtail debate. Yet, Ms. Chagger said it was a productive sitting. “We advanced substantive legislation when it comes to lowering taxes on the middle class. 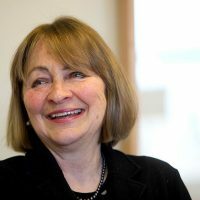 … If you look at trade legislation, if you look at social policies like medical assistance in dying, all important pieces of legislation that we advanced,” she said. Over the 11 weeks that MPs sat between Sept. 19 and Dec. 14, the government introduced 16 new pieces of legislation and passed five bills. All those bills passed in the last month, in addition to another bill passed by the Senate after the House rose, bringing the total this Parliament to 16. The total number of bills the Liberals have introduced in both the House and Senate since coming to power is 41, which even if they had passed them all, would still be short the average 48 in other recent Parliaments. The Liberals have so far used time allocation, a measure to curtail debate, 10 times. But the Liberals have been busy. Prime Minister Justin Trudeau (Papineau, Que.) 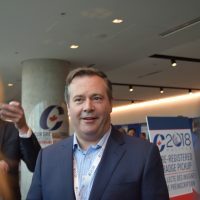 approved two pipelines, he launched an inquiry to missing and murdered indigenous women, he reinstated the long-form census, and he held three first ministers’ meetings on climate change. 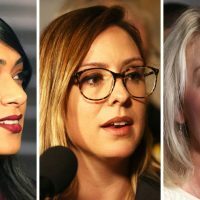 Responding to this, Ms. Chagger said she’s going to continue to try to negotiate or “collaborate” with her opposition counterparts on how to move ahead the government’s agenda. 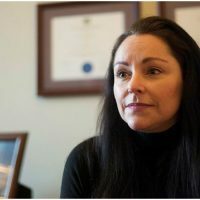 “One way of doing that is to ensure that there is enough time to debate legislation and then also make sure that there’s enough time to advance legislation, and that is the work that we are doing, in a very different way, but in a way that I believe serves Canadians better,” said Ms. Chagger. 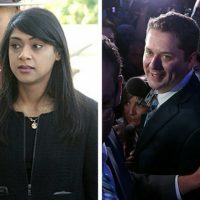 The Liberals adjourned the House on Wednesday, Dec. 14, two days ahead of when the House was scheduled to rise, and just hours before the Liberal and Conservative caucus Christmas parties in Ottawa Wednesday evening. In motioning to adjourn, there was bargaining between the government and opposition. Part of the deal was that the Conservatives would get to call a take-note debate on job losses in the energy sector when MPs return in 2017. 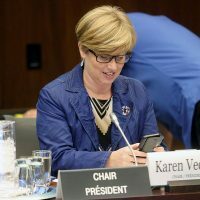 In return, there was an agreement that the rest of the last day in the House last week would be dedicated to dealing with the Senate amendment on Bill C-29, the second budget implementation bill that was sent back to the Commons the day prior, and completing an abbreviated third reading of Bill S-4, Tax Convention and Arrangement Implementation Act, 2016, passing both by the end of the day. 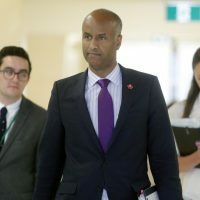 Despite criticism by the opposition to the Liberals’ lacking legislative agenda, the motion to leave early required and received unanimous consent in the House. Explaining why the Conservatives were on side with rising early, despite taking issue the lack of legislation passing and with Prime Minister Trudeau’s lack of attendance in the House this sitting, Conservative House leader Candice Bergen (Portage-Lisgar, Man.) said they agreed to it because the Liberals didn’t have any other business to put forward over the remaining Thursday and Friday. Ms. Bergen said an ongoing issue between the House leadership teams in negotiating time for debate is that the government won’t say the number of days they’re allotting for a bill, but instead will call it and then shut down debate. “I wonder sometimes if it’s lack of experience. … [The prime minister] has put people in who have never even sat on a House committee. 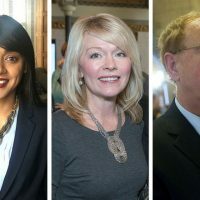 He’s put people in these positions who have very, very little experience just with the overall process, with the importance of debate,” Ms. Bergen said, making note of Ms. Chagger and Chief Government Whip Andrew Leslie (Orléans, Ont.). “I don’t know if that’s part of the issue, why they have trouble getting things through. But when they do want to get things through, they can’t seem to accomplish it without shutting down debate,” Ms. Bergen said. The bills passed this fall were: Bill C-13, implementing a Geneva Trade Facilitation Agreement from 2014; Bill C-35, Appropriation Act No. 4, 2016-17; Bill C-29, Budget Implementation Act, 2016, No. 2; Bill C-2, An Act to amend the Income Tax Act; and Bill S-4, Tax Convention and Arrangement Implementation Act, 2016. After MPs left on Thursday the Senate also passed Bill C-26, the bill expanding the Canada Pension Plan, which is a significant bill. Parliament also passed Bill C-14, a new law of medically assisted death and Bill C-15, the new Canada Child Benefit. Notable bills that did not pass, which were government priorities, include: Bill C-16, the Trans Rights Bill that has not been touched since passing into the Senate; Bill C-22, the National Security and Intelligence Committee of Parliamentarians Act, which is stuck now at report stage after the committee amended the bill; and Bill C-30, the CETA Implementation bill, which is now at committee stage in the House. 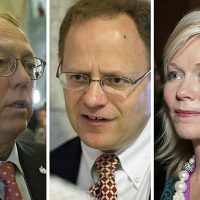 Some of the conversations that dominated the House this fall were about the Special House Committee on Electoral Reform’s report, and the ongoing controversy surrounding Liberal fundraising events featuring the prime minister and his cabinet—“cash for access,” as the opposition has coined it. “I actually feel sorry for the government House leader having to stand up and I think over 50 times repeat the same inane talking points. I really feel that’s sad,” said Mr. Rankin. MPs will return on Jan. 30 and are scheduled to sit for four straight weeks until Feb. 24 before taking a constituency week. 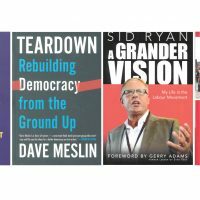 Government priority bills in 2017 will be: Bill C-33, amending the Canada Elections Act making it easier for more people to vote; and Bill C-37, removing regulations around safe injection sites across the country. “If it’s been introduced, it’s legislation we take seriously and it’s legislation that we would like to advance,” said Ms. Chagger. 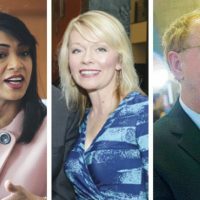 The Conservatives say they’ll have lots to say about Bill C-37, as it repeals measures the last Harper government introduced, as well as on the upcoming budget from the Liberals and any proposed tax increases. “I’m hoping in 2017 it’s time the prime minister gets really serious about the serious work that needs to be done. … The House of Commons, the day-to-day routine of debate, and answering questions and being there for votes—not the most glamorous work, not celebrity work, but it’s serious work that the prime minister needs to get down to. So that’s the change I’m hoping to see,” said Ms. Bergen. The New Democrats say they’ll be focusing on progressive issues that the Liberals promised. “If they brought us a legislative agenda which is in any way resembling the spirit of their campaign promises, we would be supportive of that agenda,” said Mr. Rankin. 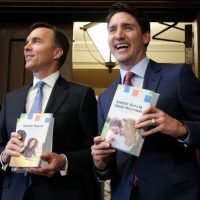 Mr. Trudeau promised during the last election campaign that the Liberals would not “resort to legislative tricks to avoid scrutiny,” and put into the mandate letter to the government House leader—which was initially Dominic LeBlanc (Beauséjour, N.B. 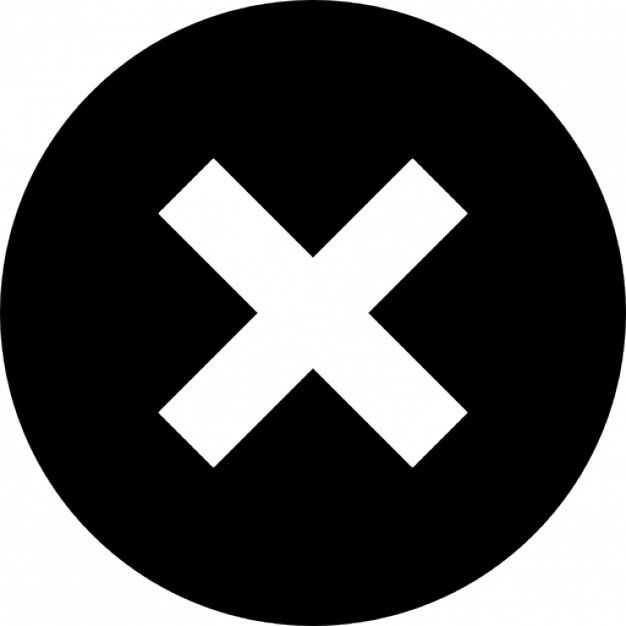 )—that the Liberals would introduce changes to end the use of prorogation and omnibus bills.